Founder, Real Progressives. Father of 9 children, an advocate for a progressive agenda and progressive economics through the advancement of understanding economics. Steve is a champion of Modern Monetary Theory, which simply describes currency and the associated operations. He has worked to deliver the promise of a New Deal by leveraging macroeconomic truths often misunderstood and misrepresented by both the mainstream media, social media and the blogosphere. 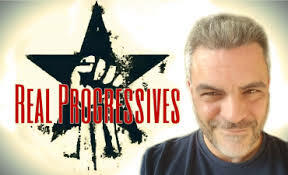 He, along with the organization he founded strive to educate, activate and demonstrate the True North of progressivism. Steve holds a Master of Business Administration and a Master of Science in Technology Management from the University of Maryland, University College.